It is in position 15D in the (visual) Table of Contents under this thumbnail image….. It is an honest documentary about the music scene in Brisbane in the 1970s & 80s. The bands featured in this documentary (46.5 minutes) include, The Saints, The Riptides, The Go-Betweens, The Leftovers, The Sharks, Tangled Shoelaces, Outer Limits, and Ups & Downs. 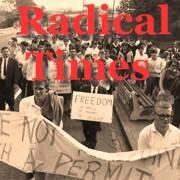 The documentary includes footage of many riots and arrests that had happened in Brisbane during the 1970’s and 1980’s. 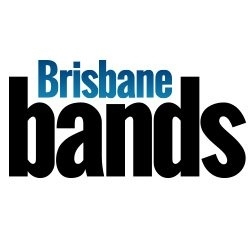 Mark Callaghan (GANGgajang/The Riptides), Ed Kuepper (The Saints), Robert Forster (The Go-Betweens), Ed Wreckage (The Leftovers), and Mark Dadds (The Sharks) speak about growing up in Brisbane during the 1970’s and forming bands. Ed Kuepper reflects on the Saints’ classic single “(I’m) Stranded” and the single’s promo-video. 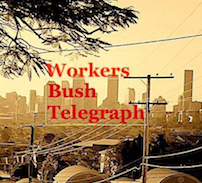 Lindy Morrison and Robert Forster (both of The Go-Betweens) speak about Queensland police breaking up their gigs and social events and the brutal treatment by the Bjelke-Petersen government. Mark Dadds (of The Sharks) reflects on the riots that took place at the Caxton Street Jazz Club and a particular night when the Brisbane task force attacked concert attendees. It was first released in 1988. Thanks to Peter Gray at Radical Times for making this historical record available and re-releasing the doco with better sound and pictures.